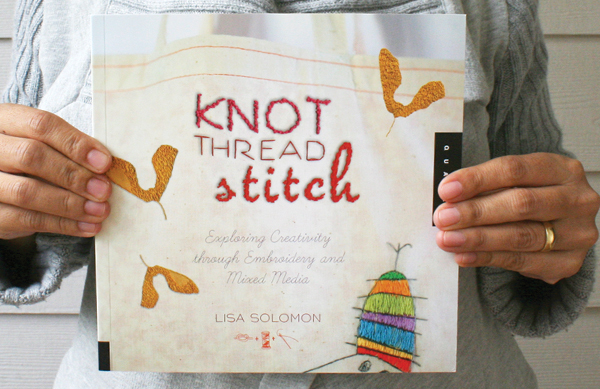 When I was putting away some things in my study this book was among them— Knot Thread Stitch: Exploring Creativity through Embroidery and Mixed Media by the very talented Lisa Solomon. That's when I was like "Wait! I haven't blogged about this book!!! "—serious lapse! Not only is it a beautiful book I had the honor of being included as a contributor. You'll see why I hand it handy in a few weeks. I've known Lisa online for several years (still need to meet in person—one day!) and I've always admired her work. She finds so many ways to make it varied and still so her at the same time. 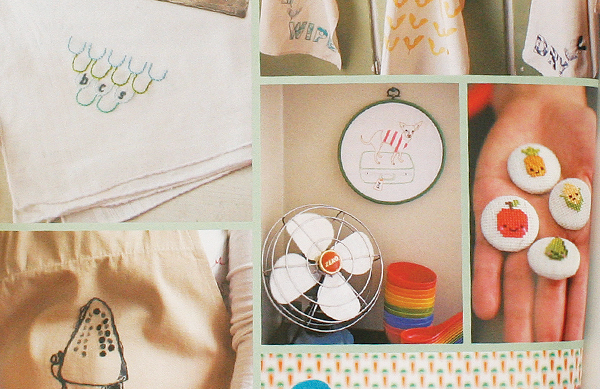 Knot Thread Stitch is a book that makes you look at embroidery in a totally different way. 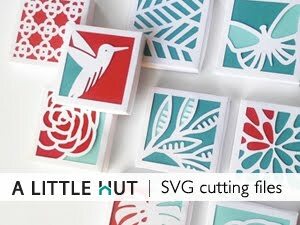 There are so many unique projects here and made by amazing artists (and my creative heroes!) that include: Martha McQuade, Blair Stocker, Sally Shim, Lisa Congdon, Amy Karol, Camilla Engman, Susie Ghahremani, Heather Smith Jones, Christine Castro Hughes and Wendy Crabb. Take your time going through all those links—a LOT of inspiration there too. 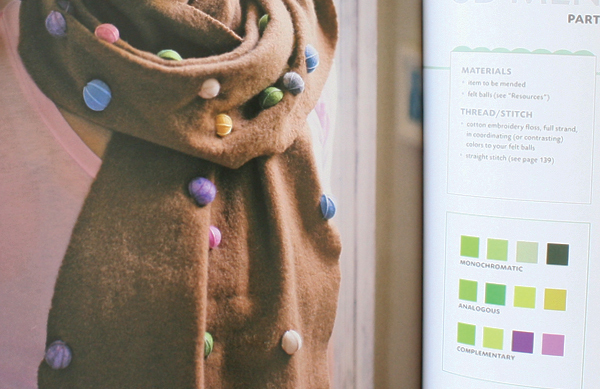 The book combines different projects that include embroidery with block printing, children's illustrations, toy ideas and so much more! 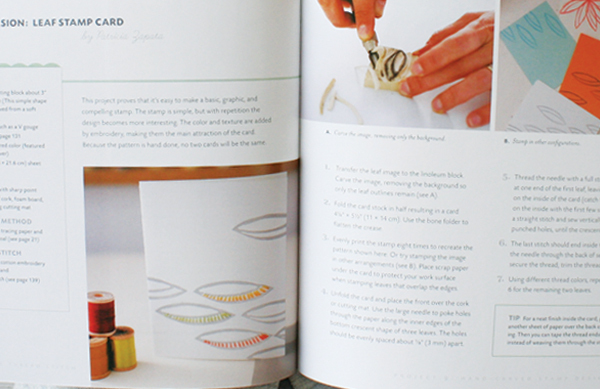 Use the ideas in the book to make a great gift for someone or something for yourself. See? How could I have not mentioned this sooner? A variety of wonderful ideas. My simple block printed and embroidery card. Someone asked me why I don't show myself in the photos where I'm holding books. The answer is simple—nine times out of ten I look horrible—one big mess in PJs or something like that (one advantage of working from home!). 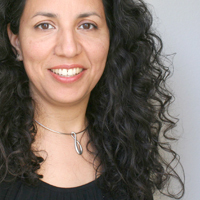 So here's my new bio photo that I posted today to prove that I do have a head! Haha! The Moon From My Attic blog was one of my first stops. She features wonderful artists and I never thought that I'd be one of them. 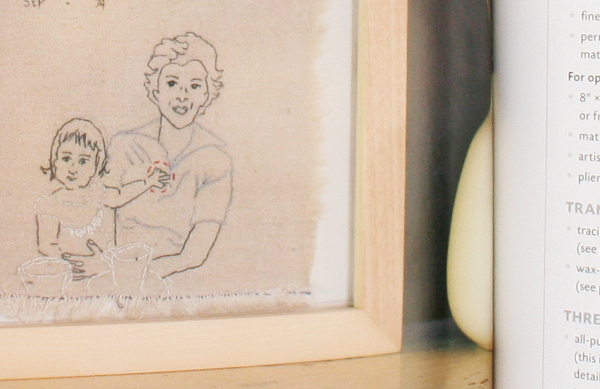 She very kindly invited me for an interview and it's posted today here! Thank you Alex!